Place all ingredients in your bread machine “can” in the order above (liquids always go first). Set the bread machine to it’s dough setting. 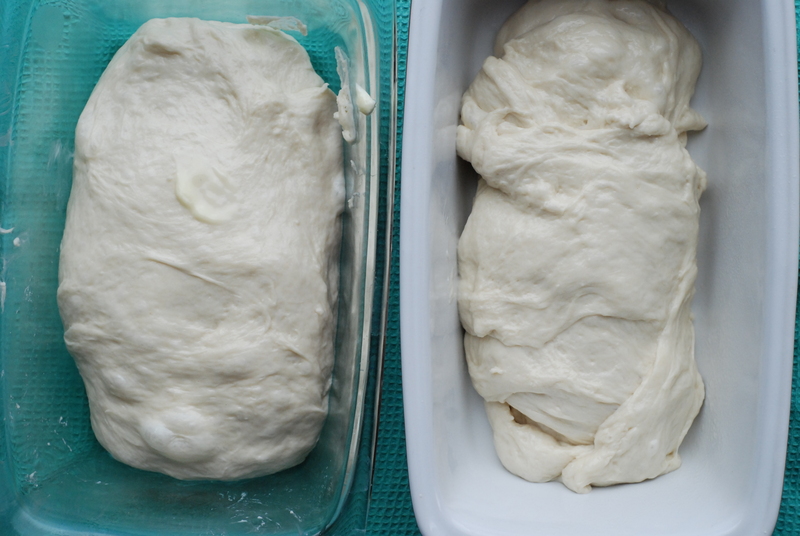 Once complete, shape your dough to desired serving. 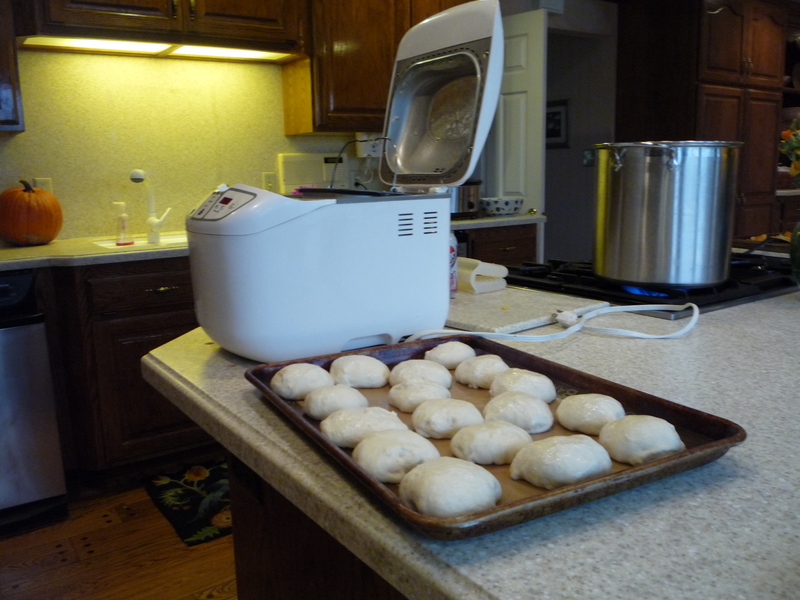 I usually shape the dough into rolls or long baguettes. Once shaped, let dough rise an addition 30 minutes then bake according to its shape. Rolls–375 for 12 minutes or until golden on top. 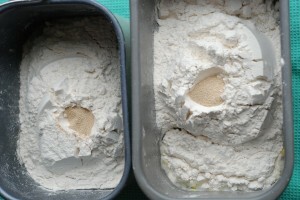 Baguettes (recipe above makes at least 2, possibly three)–375 for 2o minutes or until bottom sounds hollow when knocked. Loafs–350 for 30 minutes or until golden on top. All ingredients listed above put into the bread machine cans, ready to go to work. The shaped rolls next to the underappreciated machine. The crown jewel of our Sunday table. Don't forget the butter. Post bread machine and pre oven, bread dough ready to go. Ahhh, the finished product. 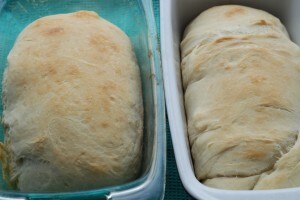 Two days' worth sandwich bread for the kiddies. Um…hi. How had I never seen your blog before? Awesome! 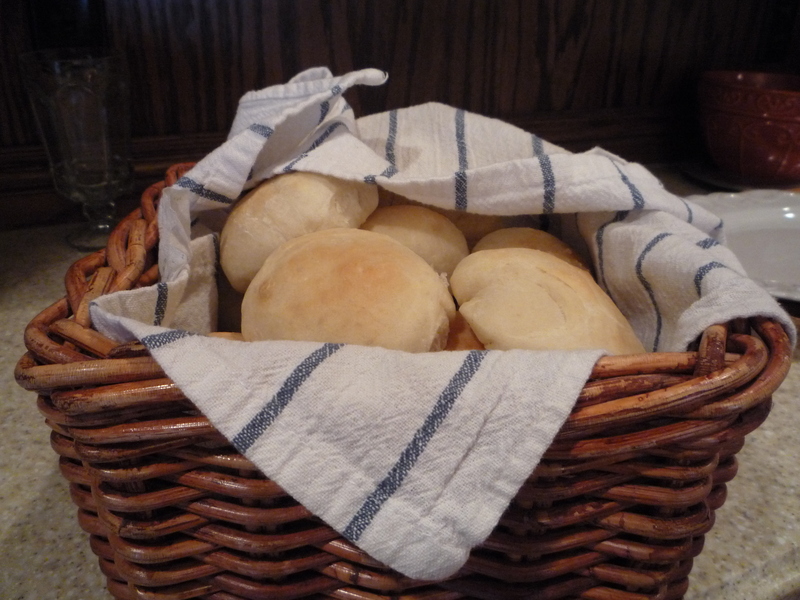 I made this for OUR sunday dinner 3 days ago (sans bread machine because I threw mine out 3 years ago, now kicking myself) and they were gone in an instant. Thanks for the recipe and the melted butter and kosher salt trick. Keep it coming.